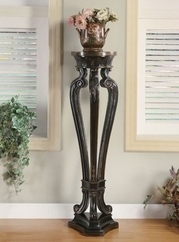 ubuyfurniture.com can help you find the perfect plant stand for anywhere in your home. We have sveral different styles of plant stands, in many different colors, and finishes. Our plant stands ship FREE to the continental U.S. ,usually within 3-4 business days!